Had my first apparel class yesterday! I’ve had some unconventional lessons, many of them self directed, so I am excited to start from scratch and learn things properly. Like learning the names of different stitches and the best applications. It kind of reminds me of my education in furniture making; learning that the hand tools were sometimes the best method for the task at hand. I wasted countless hours wandering between table saw, band saw, drill press… only to remember the best tool was sitting in my drawer. I don’t know why there is such a focus on machines to do every task. Or why the mass produced item has become what we idealize. So I’m excited to start a project. I’m thinking a small spring/summer blazer with 3/4length sleeves in dark blue. With yellow and white striped lining. We’ll see. 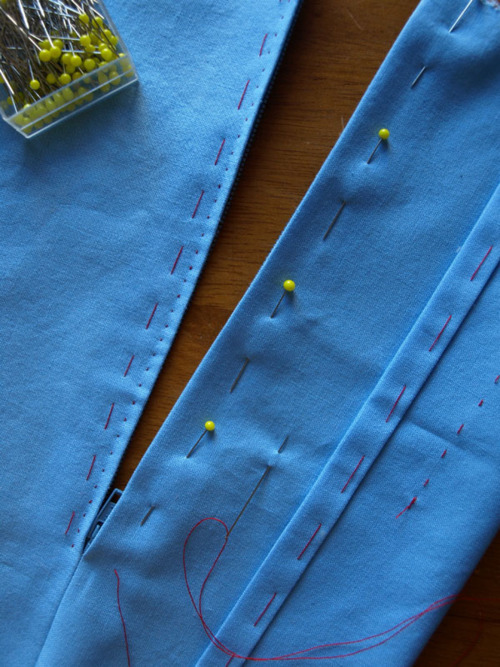 Above: insetting a zipper by hand, and other hand-stitches.